Nan- Nagarjuna starer Devdas has made decent collections at the box office on the first day of its release. The film has emerged one of the most anticipated films in recent times. Akkineni Nagarjuna and Nani have created a lot of curiosity about Devadas. Also, the promotions of the film hit the bull’s eye and raise more curiosity and interest in the film. The publicity encompassing it helped the makers offer its theatrical rights at a record price. The makers released the film in a substantial number of screens in an offer to capitalize on the insanity. 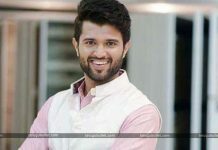 The publicity also helped the Akkineni Nagarjuna and Nani started to advance booking of this film for its opening day. The film got an awesome reaction in the early morning shows and positive talk supported its collections in the later shows on the day.